The world-famous Dutch trademark Heineken will produce beer in Laško. Yesterday the Laško Company bottled the first batch of beer. 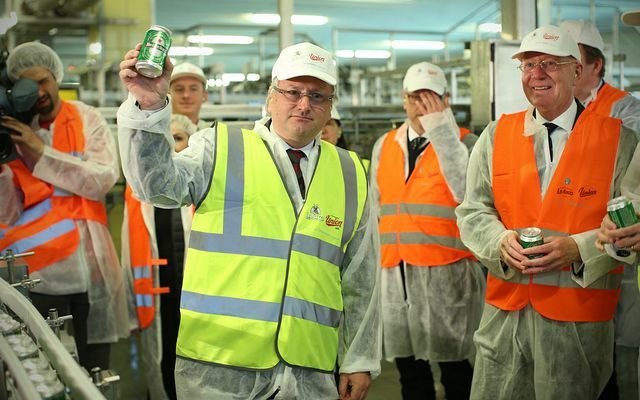 The start of production of the legendary Dutch Heineken beer in Slovenia is an important event both for the company and for the whole country. This indicates that the Heineken Company implements its agreements and confirms the forecast voiced by the Dutch when buying breweries in Slovenia, in Laško and Ljubljana, regarding the growth of beer production. Until the end of 2017, according to the Pivovarna Laško Union CEO Dušan Zorko, in Laško they will start not only bottling the Heineken beer, but also brewing it. Thus, Heineken will ensure the development and growth of production capacities in Slovenia. Heineken bought the Laško Group in 2015, and in 2016, it merged with the Pivovarna Union and Pivovarna Laško into one company and transformed it into a limited liability company from the joint-stock company. The staff in both breweries was reduced from 800 to current 670 people. The representatives of Laško emphasize that Heineken beer does not exceed the Laško and the Union products in palatability, and it is impossible to talk about the competition. The brewery in Laško is a strategic brewery of the Heineken Brewery Group, and Laško is its most important trademark. In 2016, the sales volume of beer in Serbia increased by more than 10%. According to the business plan, it is planned to achieve the record growth in volumes. The new owner made the Laško beer number one among its regional brands. In 2017, an overall marketing campaign for all markets is under development for this sort of beer. After the change of ownership in October 2015, the Pivovarna Laško and Pivovarna Union companies paid off all debts to the creditor banks. This became possible, including through the sale of shares of the Mercator, Birra Peje and Večer (in 2014) companies, as well as of the Delo and Radenska companies (in 2015). This allowed a preschedule fulfilment of the restructuring agreement signed in April 2014 with 18 creditor banks.